Robert Pacleb - 3rd here in the 2016 Poker Night Main Event - moves all in and is called by Paul Richardson. Pacleb shows Ace_Five and he's well behind the Ace_King of the chip king. 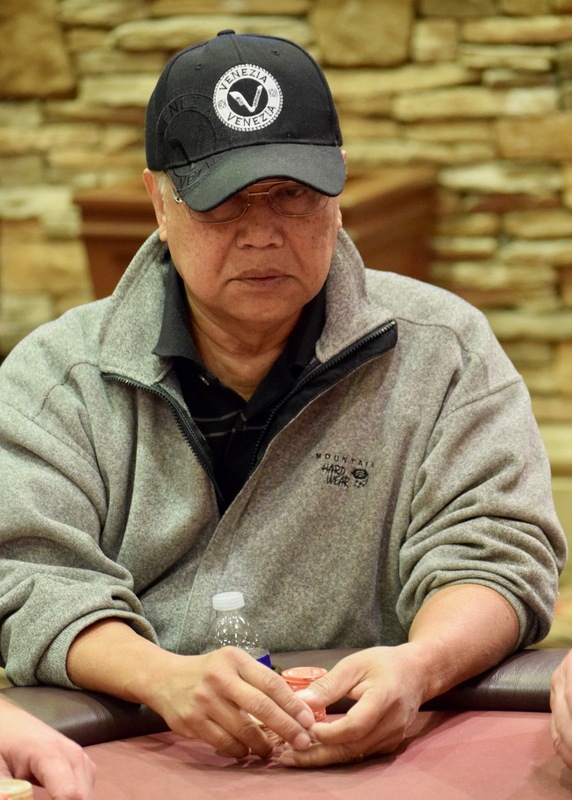 An Ace comes on the turn, no Five on the river and Pacleb is out in 8th place, a $5,750 cash.